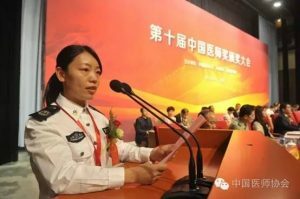 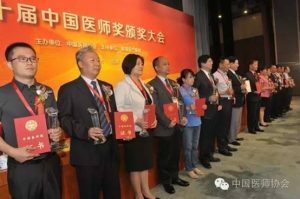 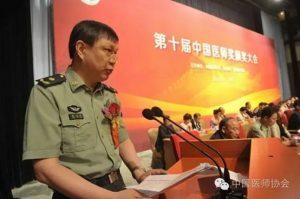 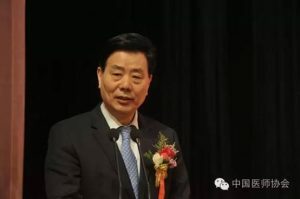 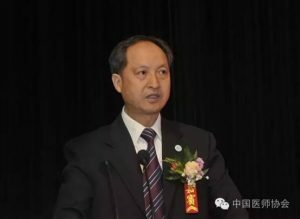 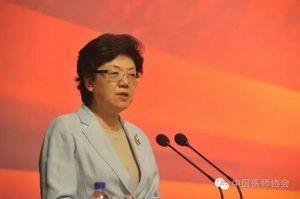 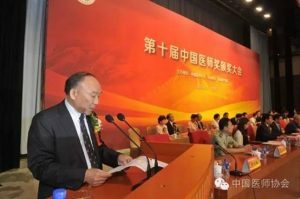 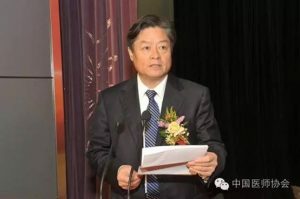 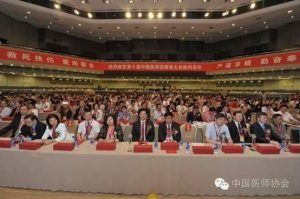 The tenth “Chinese physicians Award” awards ceremony was held in June 26th at the Beijing International Convention Center, 80 outstanding physicians were commended. 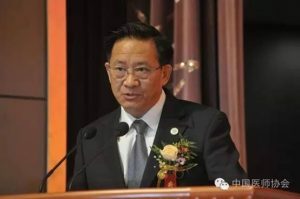 Li Bin, National Health and Family Planning Commission, Zhang Yan Ling, director of the Chinese Medical Association, Wang Long De, former deputy director of the National Health and Family Planning Commission and director of the China Preventive Medicine Association, Li Qing Jie, the Central Military Commission logistics unit Health Bureau, Guo Ying Lu , Professor of Chinese Academy of Engineering, Peking University First Hospital, Chen Xiang Mei, Professor of Chinese Academy of Engineering, Chinese PLA General hospital, Zheng Shu Sen, academician of Chinese Academy of Engineering and vice president of the Chinese Medical Association attended the meeting. 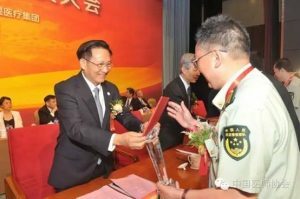 Leaders of National Health and Family Planning Commission Party Committee, Personnel Division, Science and Education Division, Medical Administration Authority, and publicity department and other departments, Liang Li wu, director of the armed police logistics department Health Bureau, Zhang Lima, president of Macao practicing Western medicine Association, local medical Association, each specialist branch, professional committee, some medical institutions on behalf of physicians and more than 40 media reporters, more than 800 people attended the awards event. 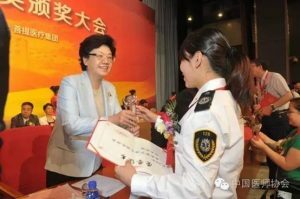 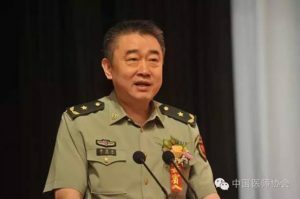 “Chinese Physician Award” approved by the State Council and the National Health and Family Planning Commission, is the highest award of the physician industry, established in 2003. 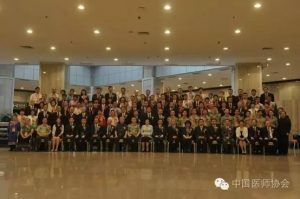 So far, it has been successfully held the tenth, in recognition of the 785 outstanding physicians representatives. 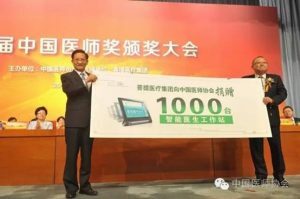 At the meeting, Fu Gang, chairman of the Medical Group Bodhi Chinese Medical Association donated 1,000 doctors intelligent workstation. 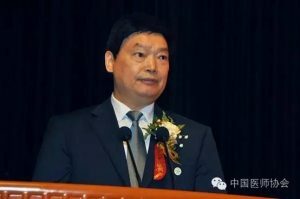 Zhang Ling Yan, president of the Chinese Medical Association on behalf of the Chinese Medical Association to receive.